I know, this is a book blog, not a technology blog, but I have a new obsession (my iPad2) and it has a couple books on it so I am doing a post. I wanted an iPad. I didn't need an iPad. I certainly wasn't going to buy one. Then I signed up for a summer course at Stanford University through Digital Media Academy and, because I attended one of their workshops at a conference, they threw in a free iPad. Who am I to turn down something "free"?! The iPad showed up in the mail on Saturday. Within one hour my 10-year-old daughter says, "Mama, I'm not going to call this your iPad, I am going to call it the iPad." Very subtle. Two days later as I put the iPad in my purse (since it has my current book on it) she says, "How come you get to take our iPad every day and I don't?" Um... our iPad? I totally feel like an iPad-evangelist right now! The potential I see in using it in the classroom is amazing. When my daughter was reading Deborah Ellis' Breadwinner aloud to me last night I realized she probably didn't know exactly where Afghanistan is and what it looks like. How convenient... I had the iPad in my lap so we looked at the world maps and photos of Kabul and it made reading the book a much richer experience. 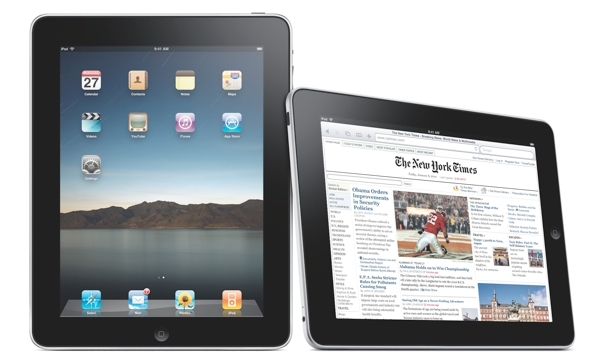 Do you have an iPad (or iPhone or iTouch)? If so, what are your favorite apps? I got the original iPad when it was first released and have the iPhone 4g. I love both, but if I had to chose just (1) it would be my iPhone 4g. I play Scrabble at work against the computer or with my daughter, when I am doing something mindless. I check email all the time as I keep it near my work computer on the mouse pad (indiscreet). I have a few audio books on it so I can also listen to a book at work or anywhere. I also have about 30 apps on both devices which I love. Now you're making me want to get one too! I'm so glad that you love yours! It's awesome that Stanford threw in an iPad when you sgned up for the class! Your daughter sure likes it! She's adorable! Amy--Stanford didn't give the iPad, Digital Media Acadmey (a private group) did. But, either way I benefitted!